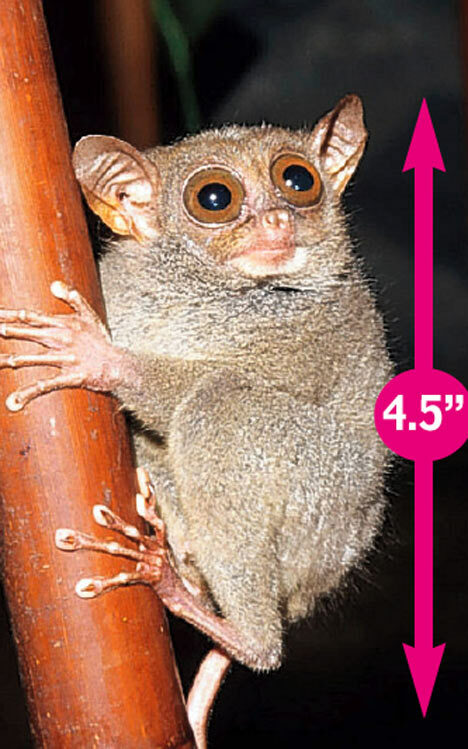 I’m only 4 1/2 inches! I really am notorious for losing things. It’s a joke in my family. Nothing has really changed since childhood. About a week ago I lost my wedding ring. I couldn’t find it for several days. I didn’t tell my husband because I was praying I would find it before he realized it was missing. I found it at the bottom of my clean clothes pile. I had obviously put it in my pocket and then washed AND dried it. I was SO EXCITED to find it, though!! It was all nice and shiny, too! Unfortunately, my 3-year-old son was beside me when I made the discovery, which coincided with my husband coming in the front door. “Don’t tell Daddy I just found this ring!”, I whispered to him. “DADDY!!! MOMMY JUST FOUND HER RING! !” , he yelled, more out of excitement than betrayal (I have to tell myself). This, of course, prompted lots of questions by the husband and ended with advice I didn’t want to hear. I already know everything, you know?? 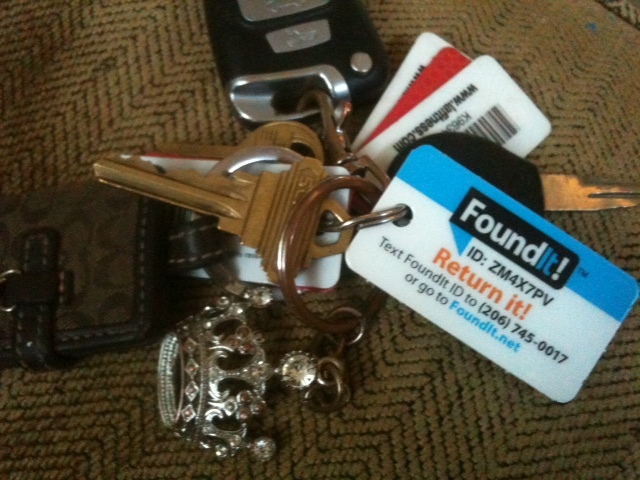 already using on my keys & remote control (it’s always getting lost!). So, when FoundIt contacted me about their product, it intrigued me. I am a loser….of things. I need help. The whole point of FoundIt is to reconnect you with your lost things without you having to put your personal information (your name, address, phone number, cousins’ names, favorite movie, t-shirt size, etc.) on everything you own. The good person who finds your lost item will contact FoundIt about your lost item, give them the ID number on the tag, FoundIt texts/e-mails you and then you proceed to arrange for a way to get the item from the finder. The only information the finder will have is what you choose to reveal. The FoundIt website contains lots of tips about how to get your item in the safest way, such as having the finder just leave it with the barista at Starbucks or with a security guard at Target. I guess the FoundIt stickers would fall off in the bath, huh? –56% of us will lose or misplace our phones once a month. –164,383 phones will be lost, stolen, or damaged TODAY in the U.S.
-Followed (or follow) this silly blog via Google Friend Connect. I’ll announce the winner on Friday morning, August 19th. Whether you enter or not, I would love to hear your stories about losing things!